We are excited to begin our summer programming adventures with your students. We have a few updates to give you regarding location, times and lunch programs. Andrew School will be undergoing several construction projects this summer so the first two weeks of summer school and LEAP will be taking place at the Andrew Lutheran Church (see dates below). We plan on moving back to Andrew school on June 11th. Also, please take note regarding the breakfast and lunch hours. If you are transporting your students for summer learning, please drop off your students in front of the the Andrew Lutheran Church at 8:00 am and pick them up at 3:00 pm in front of the Andrew Lutheran Church for the first two weeks of summer school (dates below). The Andrew School office will remain open during the summer (Monday through Thursday from 7:30 am - 3:30 pm), please call with any questions regarding summer programming. Note: While at the Andrew Lutheran Church students may not enter the building until 8:00 am. 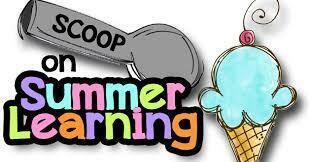 The students attending summer school and LEAP may eat lunch on May 29th, 30th, 31st and June 5th, 6th and 7th. The Andrew summer lunch program will not begin until June 11th. Starting on June 11th, anyone age 18 years old and under may eat lunch and/or breakfast for free.